Invest in a pair of quality sunglasses to keep your eyes well protected from harmful UV rays. Of course, you should choose your holiday sunglasses with care because some sunglasses obviously offer better protection. To start with, consider investing in wraparound sunglasses since they will prevent UV light from finding its way around the frame. Secondly, go for sunglasses that block at least 99% of UV-A and UV-B rays. Thirdly, purchase sunglasses with polarized lenses because they offer the best visibility especially when glare is a problem. Luckily, there are many sunglasses in the market, which satisfy these specifications. The beauty of wearing sunglasses is they reduce the likelihood of developing cataracts as well as protecting the tender skin around the eyes. You should stay in the shade between 10 a.m. and 4 p.m. when the sun’s UV rays are most damaging. However, this does not mean that you cannot engage in activities such as swimming or playing beach volleyball. The rule of thumb is to avoid exposing yourself to direct sunlight for extended periods around midday. Purchase and wear a wide-brimmed hat while outdoors. This will reduce the amount of UV light that gets to your face, neck, ears, eyes, and scalp. Moreover, you should avoid hats with holes because the sun’s rays can still penetrate through tiny open spaces and burn your eyes or scalp. Another important item to wear while going to the beach is light-colored clothing. For example, a light colored T-shirt to deflect sunlight. Purchase and use broad-spectrum sunscreen whenever you go out to the beach. The CDC recommends sunscreen with at least SPF 15. Take note that you should wear sunscreen even if it is cloudy because clouds do not necessarily block the sun’s UV rays. In fact, an article published by the University of Alabama states that up to 40% of the sun’s UV rays reach the earth’s surface on a completely cloudy day. After taking a dip in the ocean or the swimming pool, remember to reapply sunscreen. Excessive exposure to direct sunlight while on vacation can damage your eyes. According to experts, UV-A and UV-B radiation can have both short and long-term effects on a person’s vision. 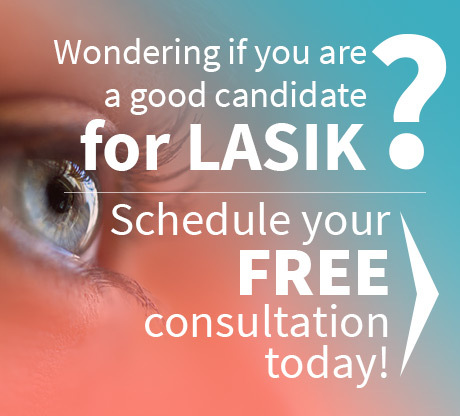 To avoid problems such as cataracts, red eyes, and photokeratitis, purchase and wear quality wraparound sunglasses, wear a wide-brimmed hat, stay in the shade from 10 a.m. to 4 p.m., and wear light-colored clothing to reflect as much sunlight as possible while on vacation. The entire staff here at Dr. John Goosey’s office wish you all a happy start to the spring and summer vacation season and hope you all utilize these tips for eye protection. 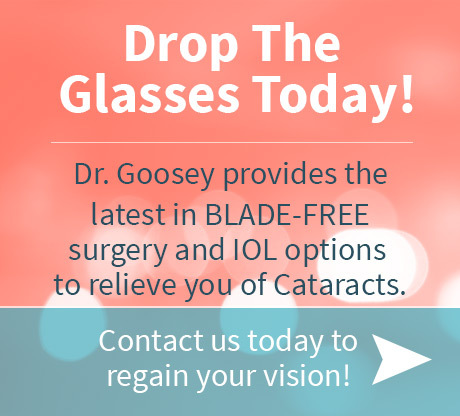 And as always, if you’d like to schedule an appointment or for LASIK and ditch the prescription sunglasses this year, contact Dr. Goosey’s Houston office! Happy travels!